Tendrán lugar el 11 de marzo de 2017 en el Hyatt Regency Orlando, 9801 International Dr,Orlando, Florida, USA. 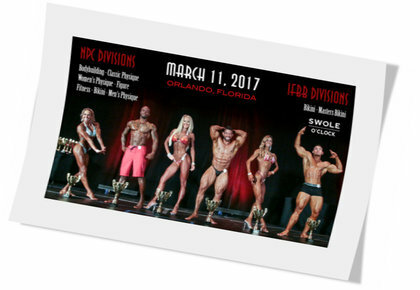 IFBB / NPC Preselección: 12:00 p.m.
IFBB / NPC Finales: 7:00 p.m. This entry was posted on jueves, marzo 9th, 2017 at 7:41 pm	and is filed under Campeonatos. You can follow any responses to this entry through the RSS 2.0 feed.Both comments and pings are currently closed.